Suzanne DeRusha comes from a radical Los Angeles family. When she was 19, she was one of a handful of demonstrators against the Vietnam War very shortly after it began (“It wasn’t yet declared; they were just sending ‘advisers. '”) Prior to heading to Canada she and her husband participated in a group that reached out to high school seniors, offering them draft counseling and encouraging them to find a way out of going to the war. They called the group Alternatives. After she returned to the U.S. she continued anti-war activism, and remains an activist today in Los Angeles. And I’m working in a DEE-fense plant. When my first husband Eddie was drafted in the mid-60s, we were living in San Francisco. His parents wanted him to do “the right thing” so his mom gave the FBI our San Francisco address. We found out about it when she happened to mention it to us in a phone call. Eddie fled to Vancouver, Canada, and I soon followed. It was 1965. The first time we went to Vancouver, we stayed in a suburb. We rented a room in a gigantic house that was broken up into apartments and rooms. 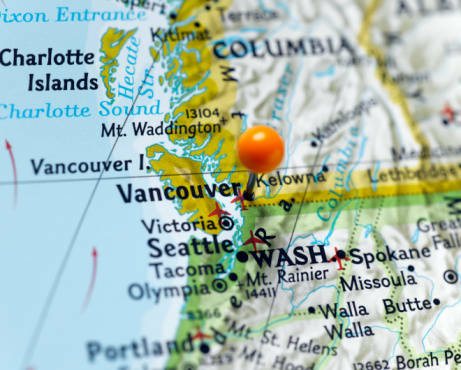 We were in the process of connecting with people in Vancouver. Even though it was only 15 miles or so from Vancouver, there wasn’t a highway at that time, so it took at least ½ hour to get there. The woman who owned it was cold and rude. She had a foster son living upstairs in the room next to ours, and we shared a bathroom with him. One morning I went into the bathroom and the smell of urine was overwhelming. It seemed to me he must have peed an awful lot and just not flushed the toilet. I didn’t understand water issues at the time, but I doubt that was his motive. I wrote him what I thought was a fairly polite note asking him to please flush the toilet. He responded by flushing the toilet every two hours all the next night long. Shortly after that, the house was sold to a very nice black woman, whose great-grandfather had made it to Canada. We became friends. I remember that her daughter had decided to move somewhere in the South – someplace crazy like Georgia or Alabama, maybe even Mississippi. She said that she would rather face blatant racism than the covert racism she faced in Canada. We got a call from our attorney, Jean Kidwell, saying we had to come back to Los Angeles right away. There was going to be a hearing to have the case against Eddie dropped on some technicality, and we had to be there to make it happen. We were apprehensive, but we came down. It turned out, amazingly, that there were two draft dodgers with exactly the same name, and the Army couldn’t figure out who was who. Based on that, the case was dropped. We settled down in Los Angeles for a while, and after a few months Eddie got stopped for some traffic thing and was arrested. He got bailed out by Rose Chernin (Committee for the Protection of the Foreign Born, which became the Committee to Protect the Bill of Rights) and took off immediately for Vancouver. I stayed and worked for Rose for several months before I went back. She was an amazing person and I loved working with her. Every year she put on a festival (I think it was Festival of Nations or something like that), near the end of summer, and we worked mainly on getting everything ready for the festival. The day of the festival, Rose’s car was hit by a drunk driver, and her husband was killed instantly. It turned out to be a terrible day. At that time Canada was proud to receive draft evaders from the U.S. Once accepted, draft dodgers were fairly secure there. The country refused to extradite them to the U.S.2 Canada itself had no draft and didn’t agree with the Vietnam war. The Canadian people couldn’t understand why the U.S. was bombing Vietnam. I think they resented U.S. dominance and feared its power and militarism. Nevertheless, not just anyone was allowed to immigrate there. And without immigrant status, you couldn’t get hired (although you were allowed to rent an apartment). When we immigrated, all you had to do is enter from the United States, and apply for immigrant status. It was almost automatic. You couldn’t apply from the inside; you had to enter Canada from the outside with these items. So we had to exit Canada, pass through the U.S. checkpoint, and then re-enter. That’s where the danger was: at the U.S. checkpoint my husband might be apprehended as a draft dodger. Between the two checkpoints was a kind of park called the Peace Park3, which straddled the border. On a foggy night, we left Canada and drove through the park towards the American station. We had prepared ourselves well with fake names, occupations, etc. About halfway through the park, we noticed a U-turn. We took it. We pulled the car to the curb and parked for about 20 minutes. The fog was thick; apparently we couldn’t be seen. Then we headed back in the direction of the Canadian border control and presented our credentials for immigration. Eddie got a job driving a cab, which barely held us together until I got a job. Then he quit to pursue his acting career, leaving me to support us. I only got paid once a month, so about a week before the end of the month, I always had to borrow money from a good friend who also worked at the university. Then when I got my paycheck, I paid him back. Eddie landed an acting job and earned $20 a week during rehearsals, $60 during performances. However, he had talent and kept getting better jobs. Very soon we got involved in a kind of underground movement to help young draftees immigrate to Canada. We “recruited” well-off, liberal, middle-class Canadians as “sponsors” who would take in the immigrant families. We’d raise money and then provide the draft dodgers with $2000 and the addresses of their sponsors. We would get knocks at our door from all kinds of strangers—sometimes entire families—begging us to help them immigrate. I was astounded! I don’t know how they all found out about us. Our organization took on the task of getting them safely out past the American checkpoint so they could re-enter to immigrate. One way we found to do that was to take advantage of Canada’s “blue laws,” which prohibited bars. In those days if people felt like imbibing, they crossed just south of the border into Blaine5, Washington. We invented pseudonyms for people and they easily passed through because hundreds of Canadians headed for Blaine every weekend anyway to drink and party. I interviewed for secretarial positions. It was a horrible experience—the interviewers were condescending and mean. I finally got a secretarial job at the University of British Columba in their Department of Psychology, a job for which the female interviewer told me I was over-qualified. When I explained to her how I’d been treated on other interviews, she nodded and added me to the waiting list, but I had to wait about three months before there was an opening. We draft dodger families formed our own little community within the city and quickly bonded through our resistance to the war and through our common culture. I stayed two years in Canada. 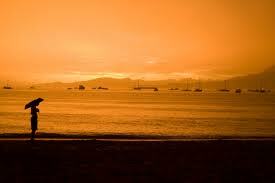 I remember a beautiful beach called Kitsilano. Standing there I felt like the first person to discover it. It looked the same to me now as it probably had looked 200 years ago. There was no development; just me all alone standing on its shore. I could envision the settlers, the early explorers. Of course, today it’s all built up and bustling with tourists. Things were deteriorating between Eddie and me. I became despondent. Although I had acquaintances, I didn’t have any really close friends. As affairs worsened between Eddie and me, I felt compelled to leave, so in 1967 I crossed back into the United States. I immediately sensed the anger and unfriendliness there. I settled in with my parents in Los Angeles and managed to quickly get a job as a medical assistant (for which I had studied in the past). I also attended L. A. Community College. 2. During the Vietnam War, a total of 30,000 deserters and draft evaders combined went to Canada. The Canadian government eventually chose to welcome them. Draft evasion was not a criminal offense under Canadian law. 3. The Peace Arch is the world’s first monument to peace. Sam Hill a prominent American businessman, conceived the idea of the Arch. Mr. Hill laid a hollow cornerstone within which he placed a hammered steel box made from the steel of a captured slave ship. Inside the box, he placed apiece of the Beaver and the Mayflower. The Arch was fitted with two iron gates, leaving them open to symbolize peace between the two great nations. Peace Arch was dedicated in 1921. The lands around the Arch were gathered through donations and fundraising efforts. Two decades later, on November 7, 1939, the Peace Arch and surrounding lands on the Canadian side became Peace Arch Provincial Park. 4. In Canada, many American Vietnam War evaders received pre-emigration counseling and post-emigration assistance from locally-based groups. Typically these consisted of American emigrants and Canadian supporters. The largest were the Montreal Committee to Aid War Objectors, the Toronto Anti-Draft Programme, and the Vancouver Committee to Aid American War Objectors. Journalists often noted their effectiveness. The Manual for Draft-Age Immigrants to Canada sold nearly 100,000 copies and was read by over half of all American Vietnam War emigrants to Canada.In addition to the counseling groups was a Toronto-based political organization, the Union of American Exiles. It lobbied for universal, unconditional amnesty, and hosted an international conference in 1974 opposing anything short of that. 5. Blaine, Washington teemed with taverns and adult entertainment of various kinds due to restrictive drinking and entertainment laws in British Columbia. 6. Some draft evaders returned to the U.S. from Canada after the 1977 pardon, but about half of them stayed on.This young and mostly educated population expanded Canada’s arts and academic scenes, and helped push Canadian politics further to the left. 7. Those who went abroad faced imprisonment or forced military service if they returned home. 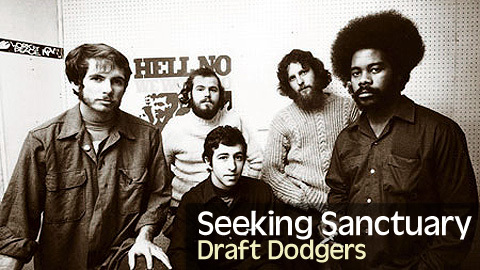 The U.S. continued to prosecute draft dodgers after the end of the Vietnam War. In September 1974, President Gerald R. Ford offered an amnesty program for draft dodgers that required them to work in alternative service occupations for periods of six to 24 months. In 1977, one day after his inauguration, President Jimmy Carter fulfilled a campaign promise by offering pardons to anyone who had evaded the draft and requested one. It antagonized critics on both sides, with the right complaining that those pardoned paid no penalty and the left complaining that requesting a pardon required the admission of a crime.